You’ve submitted dozens of applications, but you still can’t get a job? You’re not alone. We all know the basic Do’s and Don’ts of a typical job search – tailor your cover letter, arrive at the interview 15 minutes early, perfect your elevator pitch – but there are certain red flags you might be setting off that are preventing you from landing your dream job. 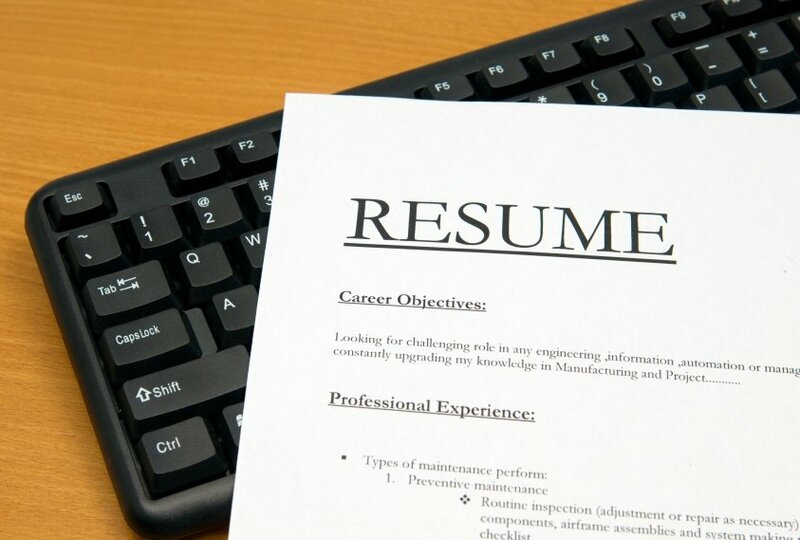 Here are five reasons why you’re not getting hired. 1. You don’t already have a job. It’s an unfortunate catch-22 (how do you get a job when nobody will hire you for one? ), but it’s also a job search reality. The stigma of being unemployed can put a real damper on your impression as a candidate, leaving the hiring manager wondering why you don’t have any other opportunities if you’re really so qualified. In a recent study by online recruiting software company Bulhorn, researchers found that being unemployed for two years can have a worse effect on your job prospects than a criminal record. What you can do: If possible, don’t quit your job until you’re certain you have another opportunity lined up. If that ship has already sailed, then do your best to keep busy and do something constructive with your time. Even if you can’t get a job, you can still work on building up experience in other ways: volunteer within your industry, get a part-time job, or enroll in online classes and work towards a new credential. 2. You’re not personable during the interview. Your mom may think you have a sparkling personality and a winning smile, but employers probably aren’t so enchanted. Your attitude during an interview helps employers decide whether you’re a good fit with the corporate culture. If you give the impression of being cold, defensive or otherwise off-putting (even if you don’t mean to), employers probably won’t be enthused about the prospect of working with you every day. What you can do: Employers hire people that they like. They want to see that you’re excited about the job, so let them know that you’re passionate about what you do. Make a conscious effort to smile, and always try to develop a rapport with the interviewer at the start of the interview – open with some casual small talk that’s unrelated to the job (the weather, the location of the office, your commute, etc.). Lastly, remember to send a personalized follow-up note to the interviewer thanking him or her for the opportunity. 3. You haven’t maintained your personal online brand. Hiring managers will type your name into a search engine and look at what comes up before interviewing you. This is no longer just a best practice, it’s a recruitment fact: 91% of employers say they regularly screen candidates on social networking sites before making hiring decisions. If what they see is an out-of-date LinkedIn profile with no photo, or an awkward picture you were tagged in, you may have just killed your chances. What you can do: Put some effort into how you present yourself online. The first priority should be making sure your LinkedIn profile is up-to-date, since recruiters look here first for additional information on your professional background. Go beyond just updating your work history – join LinkedIn groups relevant to your field, leave meaningful comments on the posts of others, and share interesting articles a couple of times a week. Don’t forget your other social networks either; double check your Facebook privacy settings and try your hand at creating a custom background for your Twitter profile. 4. You’re not getting past the software bots. Hiring managers are dealing with larger volumes of applications than ever before. Unfortunately, this means that you’ll probably end up submitting your application through automated screening software. The downside of this trend is that great candidates are being overlooked. Peter Cappelli famously wrote about an HR executive who applied anonymously for a job in his own company as an experiment, and didn’t make it through the screening process. What you can do: Screening software determines your eligibility by checking for specific words and phrases, so make sure you use the same keywords as the job posting throughout your resume. Try to incorporate skills and words relevant to the industry, and match your title to that of the vacancy. Optimizing your resume to get past the screening software is a whole new skill to learn, and it’s becoming just as important as meeting the job requirements. 5. Your résumé doesn’t list specific examples. Your résumé has 30 seconds to impress the recruiter before it’s tossed into the rejection pile. Make it memorable by listing specific examples of your accomplishments, not just by parroting back the original job description. 57% of employers say that the most detrimental mistake candidates make is not providing specific examples in their résumé and interview. Take an honest look at which of these habits you might be guilty of, and make a conscious effort to switch them up with your next application. Happy job hunting! Have your own experiences to add to the list? Leave them in the comments below!